Simbu to join hands with Rekka director Rathina Siva? 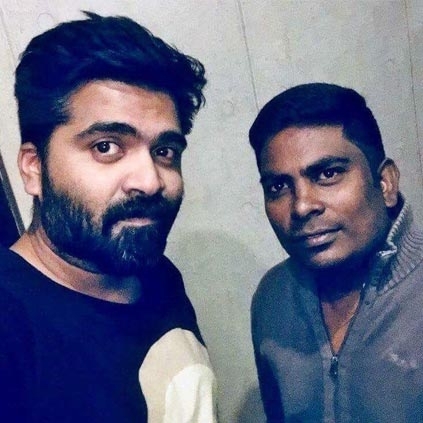 A recent photo of Rekka director Rathina Siva and actor Simbu is doing the rounds in Twitter. Even the hashtag #Rekka is trending right from the moment the photo was posted. Speculations are rife that STR might be joining hands with the director for a new movie. Rathina Siva’s movie Vaa Deal along with Arun Vijay has been in the cans for a long time without seeing the light of the day. Rekka has Vijay Sethupathi and lakshmi menon in the lead. Simbu is currently busy with Mani Ratnam’s Chekka Chivantha Vaanam. This movie is a multi-starrer and Arvind Swamy, Vijay Sethupathi, Arun Vijay, Jyothika, Aishwarya Rajesh, Prakash Raj, Aditi Rao Hydari and Jayasudha are also a part of it. Simbu was last seen in the disastrous movie AAA directed by Adhik Ravichandran. Since the movie was a flop, the actor received a lot of flak from his fans. Hopefully he’ll bounce back with a strong role in Chekka Chivantha Vaanam. More news regarding this will be updated here. Previous post: Thalapathy 62 movie update: Vijay to sing for AR Rahman?